Pete being presented with ‘Thank You’ gifts, from Carol and Sheila, on behalf of St. Anne’s Church. 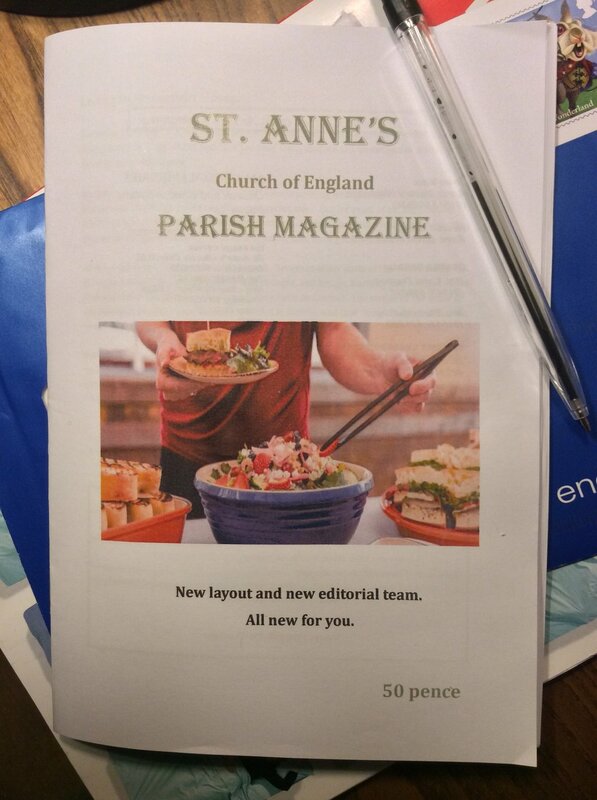 A huge “Thank You” to Pete Shelley who has edited and produced St. Anne’s Parish Magazine for many years. We are very grateful to Pete, and wish him well as he steps down from this role. Thank you also to the team of people, led by Chris Hawthorne, who are taking over the publishing of the magazine for the coming year.